Bachelor’s Degree in Occupational Therapy from the Health School of Tunisia in 2014. He worked with children of various abilities across a number of settings for four years prior to Mind Institute. 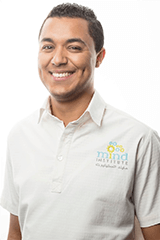 His previous experience includes working in an Autism Center and rehabilitation center where he was responsible for the assessment and therapeutic plans of a number of clients on an individual and group basis. Mohamed enjoys working with children of all ages and helping them to achieve their goals and reach their fullest potential. He has experience with a variety of diagnoses such as ADD/ADHD, Autism, PDD, Down Syndrome, Neurological Impairment and Learning Disabilities. Gillian has been working with children for over 9 years, supporting them with daily living skills, social skills, functional communication and academics. She has also worked with parents and staff, guiding them as they help children reach their potential. She works on making learning fun using the principles of reinforcement and motivation. Gillian has helped set up a Centre and Academy in Canada that supports students between the ages of 3 to 17 years. She has worked on home teams as a consultant, attending school meetings and advocating for children. She had also worked with students in school settings as an educational assistant and at homes as a Behavioral Interventionist. 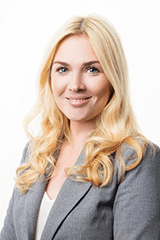 Gillian has her Masters in Science with a concentration in Applied Behavior Analysis, from Capella University, USA. She earned her Bachelors in Arts (major in Psychology) from Simon Fraser University (SFU), in Canada. She also has First Aid Training and a Professional Crisis Management certification, allowing her to deal with injuries and challenging behaviours. “If a child can’t learn the way we teach, maybe we should teach the way they learn” – Ignacio Estrada. Amal is a bilingual enthusiastic special educator, she gained her Bachelor’s’ degree in Psychology and pre-school education from Al Ahfad University. As well as a higher Diploma in social work, from Khartoum University. She worked in Skina Center for children and adolescents with special needs, as well as the Sudan Center for those diagnosed with Down Syndrome. 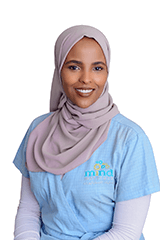 Amal believes in continued professional development and has attended many workshops including teaching methods of special education, workshops in teaching technique and Support Learning Program (SLP), Developmental Milestones (Age appropriate 0-6 years) communication skills, Gross and fine motor skills, Characteristics of different disorders and Managing Classroom – behavioral Strategies. Her goal is to support children with special needs, to help them reach their full potential and merge successfully into society. 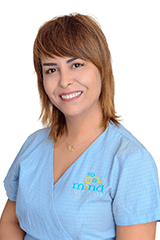 Education from the University of Jordan and has trained previously in Amman and Qatar before taking a role at Mind Institute. Ghadah is a firm believer in continued professional development and has attended many workshops, including an introduction to ABA, supporting children with speech disorders and special education teaching techniques. Whilst completing training in Rumailah Hospital and Oxygen Center for Children with Special Needs she found a passion for working in an early years setting. 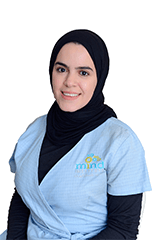 Ghadah feels her specialty lies in supporting children with ASD and intellectual disabilities and is eager to be part of a multidisciplinary team at Mind Institute. Science and Health Technics of Tunis. She has 10 years of experience working as an Occupational Therapist in Tunisia, Oman and now Qatar. Hana’s experience stems over working with children of a variety of ages and believes she is specialized in supporting clients with Autism, Cerebral Palsy, Learning Disabilities and Motor Disabilities. 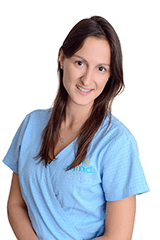 Hana is a compassionate, caring and dedicated professional who enjoys working with children in an individual as well as a group setting. She provides efficient and effective Occupational Therapy support using accurate assessment techniques and appropriate clinical intervention. She is skilled in organizing therapy sessions to instruct and encourage family participation. Hana prides herself on looking at each child as a whole supporting their individual needs in order to unlock their potential in therapy. • BSC HONS Speech and Language; University of London, UK. 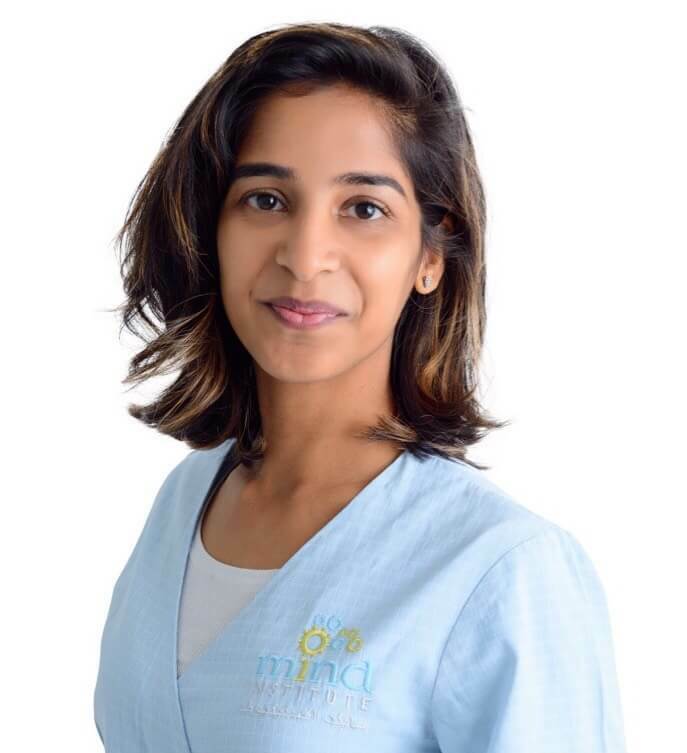 Farhiya is an enthusiastic and compassionate speech and language therapist who is committed to helping her clients achieve their potential. Farhiya graduated from City, University of London with a Bachelor of Science (Honours) in Speech and Language Therapy. She is licensed by the Health Care Professional Council (HCPC) in the United Kingdom and has registration with the Royal College of Speech and Language Therapists (RCSLT). Farhiya is committed to supporting clients with communication difficulties. She values the importance of working alongside families, schools and other professionals to ensure a holistic approach is taken. 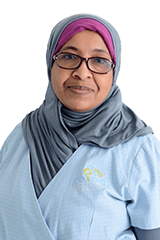 Farhiya enjoys working with adolescents and children. She has experience working in nurseries/ pre-schools, primary and secondary schools in England. She can provide individual and/ or group therapy in all settings. Farhiya has supported children with social communication difficulties and speech and language delays and disorders. She is experienced working within a multi-disciplinary environment and a multi-ethnic community. Master’s Degree from University of Arts and Human Sciences, Tunisia. Bachelor Degree in Psychology, Clinical Psychology Major from the Higher Institute of Human Studies, Tunis Al-Manar University, Tunisia. Certified in Pivotal Response Treatment in 2014. Mohamed completed his Master’s degree in Clinical Psychology and Applied Pathology from University of Arts and Human Science, Tunisia. 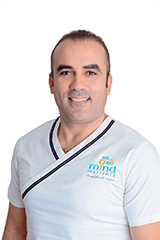 He is a tri-lingual therapist fluent in Arabic, English and French. Mohamed’s professional experience in different cultures and diverse settings have developed his interest in psychotherapy. He aims to support children, adolescents and adults through developing an individual treatment plan embracing their cultural background and helping them feel better about themselves as an individual and socially. 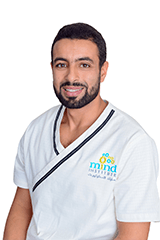 Mohamed’s 12 years of experience working in Psychology-related posts in, educational, organizational, clinical, special needs and social care in Tunisia, Oman, Dubai, Kuwait, and now, Qatar, helped him sharpen his professional approaches to clients for better mental health outcomes.